We know technology can be confusing and, since 2004, we have been here to simplify technology in your homes and businesses. This holiday season, let us also simplify gift-giving with these top five technologies that are easy to give, implement, and expand upon. Want a holiday tech item that won’t be obsolete as soon as it’s installed? These functional gifts will also stand the test of time while making life easy and fun. 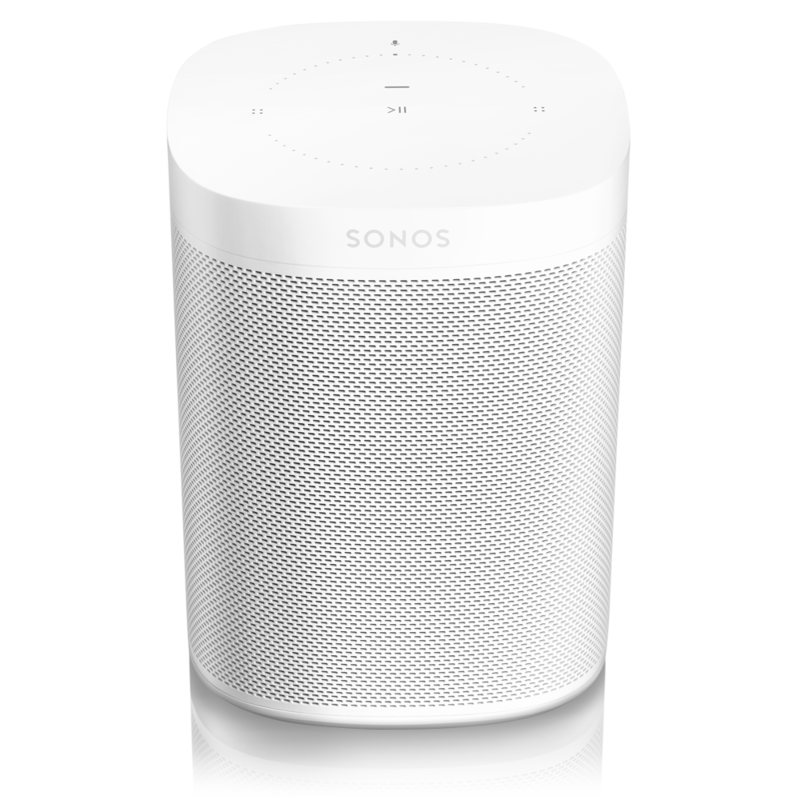 We were the first SONOS dealer in St. Louis over 12 years ago and our first player STILL works (check it out)! 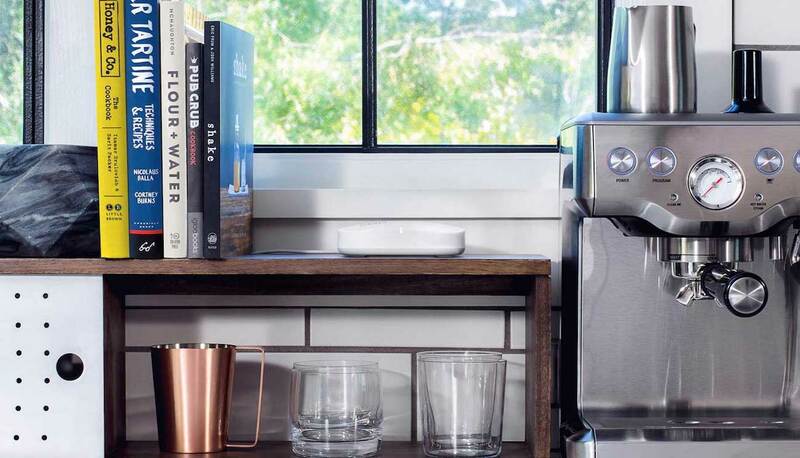 This company has created and re-created speakers and amplifiers that bring wireless music streaming to almost any room in the home. With a good wifi system (read below), you can hear Pandora, Spotify, SiriusXM, your own music library, and more – in the kitchen, bathroom, kids’ room, almost anywhere! Whole-house wifi – and – parental controls?! Oh yes. This business was founded by Jeff and Jamie Briesemeister and even though we didn’t have kids at the time, we have a family now. Parental controls that disable wifi, set timers, all while providing whole-house wifi – are life-savers for today’s families. People work from home more, send homework via email, online schooling… it all adds to the need for solid wifi experience. The EERO is a great solution with a quick setup and house-wide range (in homes with 3-5 bedrooms). Extenders are small so you can place them where you need them. Every day you touch your lighting: why not make it smarter? Lutron offers a variety of products to address almost any lighting control need. Entry-level systems are simple to setup on your own or you can hire a pro to do it for you. For around $250, you can make lighting ‘smart’ through astronomical timers, app-controlled, aware of when you come home and more! Consider Lutron Caseta Smart Bridge Pro, which is a functional and time-savings gift to give for that busy mother or professional in your life. Access your lights, shades, and more all from your smart phone or tablet – at home or when away from home. Voice control is here and you can do so many things with it. Whether you are an Amazon Alexa user or prefer Google Home, voice control brings you information and access to the world using only your voice. Hear about the weather, start your car, turn on/off your lights, and more! We’ve been asked about voice control for years – now it’s here! Voice control for your world from your favorite brands. The Frame television by Samsung is a luxurious gift that combines art and television for a special person on your gift list. Available in 3 different sizes, this digital art screen is also a television when in use. ‘Standby’ provides artistic images with matte options YOU control. Select from the available gallery, download more, or upload your own family photography to customize this piece to your preference. When you want to ‘Netflix and chill’, simply pick up the remote and change the display! Watching television is easy (and beautiful)! You will speak with someone who understands your unique needs and can purchase and deliver your wrapped gift item through our white-glove service this holiday season! Setup and installation are also available for an additional fee. We are your home technology professional. Give us a call today to discuss technology – for gift-giving this holiday season, even if that gift is for yourself!